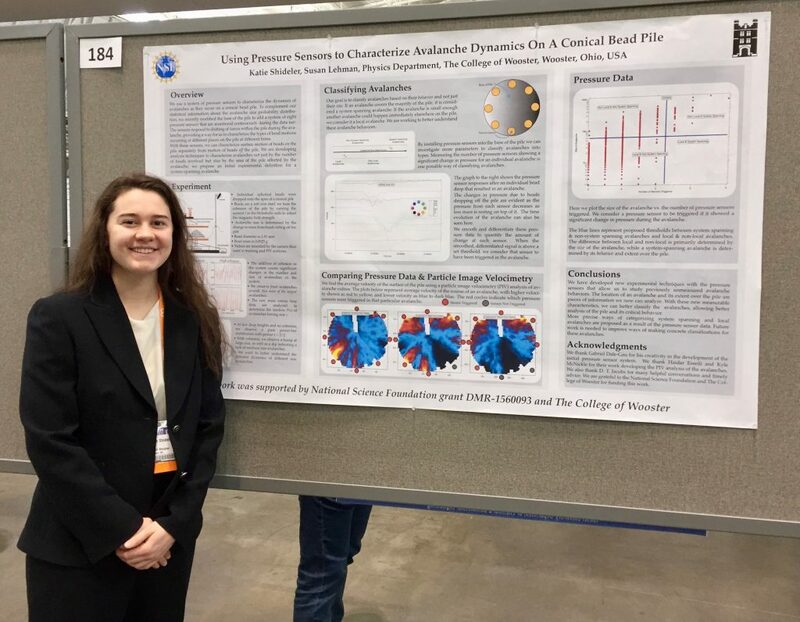 Having never been to a physics conference, or even to the city of Boston, attending the annual American Physical Society’s March Meeting was all around a new and incredible experience. Being able to present my research to physicists from across the globe was nerve-racking but very insightful to get opinions of others who are far removed from the research I’m doing, so they brought in new perspectives I hadn’t thought of before. 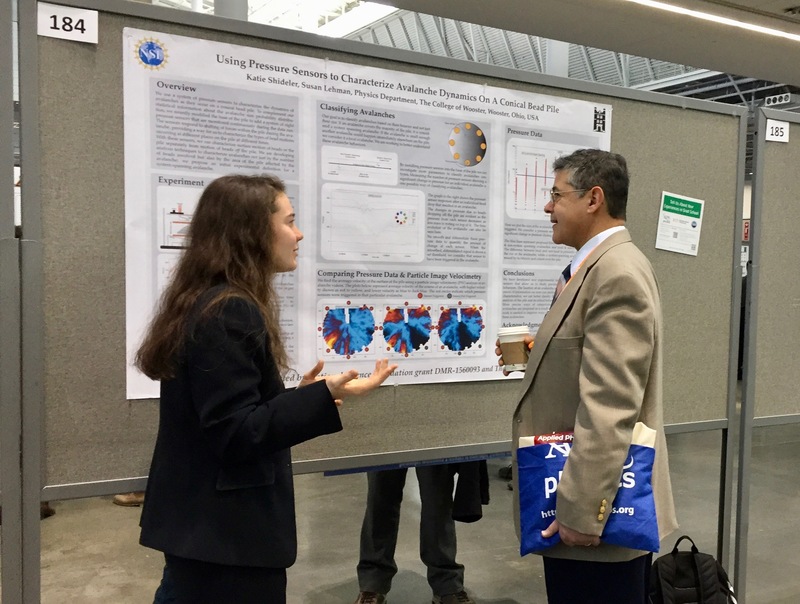 My poster was set up next to a man who conducted similar research to me, so it was fascinating to see what he did differently with his system and how that changed the course of the experiment. Talking with him and exchanging ideas was one of my favorite parts of the conference. I also had the opportunity to sit in on numerous fascinating talks various researchers were giving. My favorite talk I went to talked about improving the design of the wheels on Mars Rovers, because NASA has been having problems with the Rovers getting stuck in the sand. This researcher and his team designed a new body for the Rover with new axes of rotation for the wheels to allow the Rover to keep moving and get itself out of the sand. It was pretty sweet to see clips of this thing moving through the sand. I also found this talk about nanorobots powered by lasers extremely interesting which seem to have the potential to make improvements in the medical fields. Anyway, there were so many cool talks to go to I found it difficult to choose which ones to go watch. In addition to the awesome physics that was taking place, the city of Boston was extremely cool to explore and find local place to grab a coffee or a bite to eat. All in all, the March Meeting I would say was a success. This entry was posted in Adventure, Fun, Physics, Students, Travel. Bookmark the permalink.